With the Budget fast approaching and just a week since the Prime Minister laid down the challenge to UK business to invest more in innovation, the CBI sets out one of the single most effective routes to achieving just that – the diffusion of technology. It is for the Government to build the ecosystem that will encourage greater investment and for British businesses to act and make the most of these opportunities. In a new report, From Ostrich to Magpie, the UK’s leading business group argues that by encouraging more businesses to behave like ‘magpies’ – picking the best tried and tested technologies available – rather than like ‘ostriches’, who are more stuck in their ways, then the UK could reduce inequality between firms’ productivity and people’s pay. This could add over £100bn to the UK economy and support a 5% reduction in income inequality. The Government has announced that it will work with hundreds of industry partners to make 2018 the Year of Engineering – and today pledged to work with them to offer a million direct and inspiring experiences of engineering to young people throughout the year. Teaming up with a diverse range of partners – covering everything from technology, healthcare and food production to energy, culture and transport – the campaign aims to galvanise industry, MPs, parents and teachers in a national push to inspire the next generation of engineers. German technology company, ZF, is expanding production at its facility in Peterlee, County Durham, to address the growing demand for advanced camera systems that support automated driving. The company is investing around £30 million over the next two years to fund new production lines for the start of production of its next-generation camera technologies. It is also ramping up the recruitment of engineers, production specialists and apprentices. 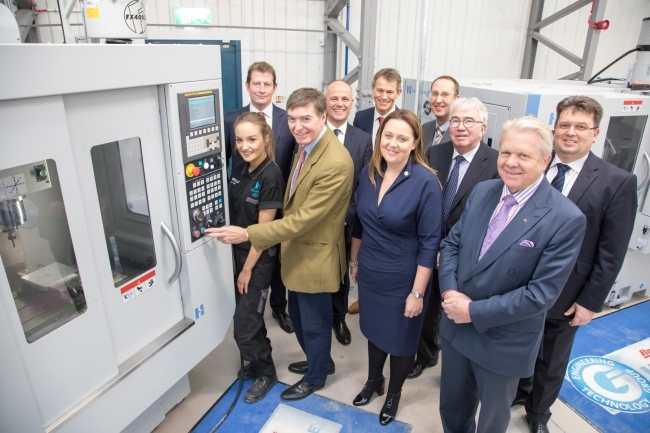 A £4m state-of-the-art training hub has been officially opened in Bridgnorth, Shropshire, with bosses urging other manufacturers to step forward to avoid a skills drain caused by the uncertainty of Brexit. The Marches Centre of Manufacturing & Technology (MCMT), which is run by a consortium of Classic Motor Cars, Grainger & Worrall, In-Comm Training and Salop Design & Engineering, was unveiled in front of 250 people with many delegates receiving their first glimpse of the 36,000 sq ft facility. 5. 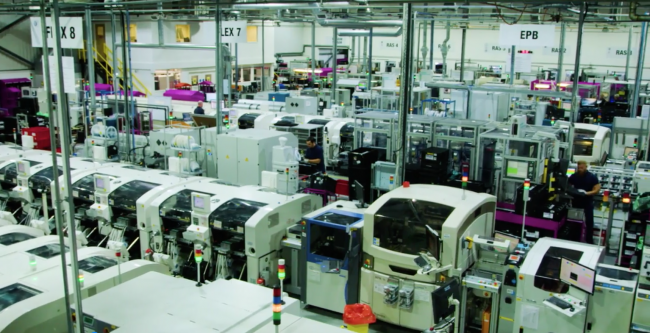 Digital Twinning: The Future of Manufacturing? The concept of digital twinning has gained momentum in recent years as more manufacturers invest in smart machines that are transforming the industrial landscape. 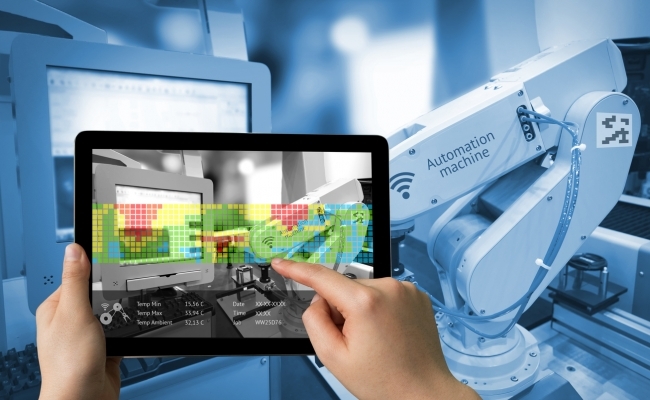 Defined as the mapping of a physical asset to a digital platform, digital twinning is enabling manufacturers to gather data from sensors on their machines to find out how they are performing, in real-time. Earlier in the year, Gartner named digital twinning as number five in its Top 10 Strategic Technology Trends for 2017. It predicts that within three to five years, billions of things will be represented by digital twins and a recent Research and Markets report suggests that up to 85 per cent of all IoT Platforms will contain some form of digital twinning capability by 2022. So why should manufacturers be taking digital twinning seriously? Britain’s factories are booming, with industrial output now on its longest growth streak for 23 years. The surge in manufacturing and mining is driving up growth in the wider economy – the National Institute for Economic and Social Research believes GDP rose by 0.5pc in the three months to October, faster than any quarter so far this year. Output in the sector has risen for six consecutive months, smashing expectations by growing at 0.7pc in September and 1.1pc over the third quarter as a whole, according to the Office for National Statistics. Factory output rose 1.1pc in the quarter with transport – mainly car production – up 3pc. On the penultimate day of the Dubai Airshow, Airbus has struck its biggest single deal with an order for 430 aircraft worth $49.5bn at list prices from US investment firm Indigo Partners. Indigo, whose interests include Europe’s Wizz Air, US-based Frontier, and Mexico’s Volaris, will buy Airbus’s A320neo family of aircraft. The Airbus aircraft, whose wings are made in the UK, will be deployed across Indigo’s airlines, which also includes JetSmart in Chile. The Indigo deal more than doubles Airbus’s existing order book for the year, which stood at about 290 aircraft as of the end of October. The deal also beats a 2015 order for 250 single-aisle planes valued at $27bn by Indian budget carrier IndiGo. The Intelligent Manufacturing report, summarises on a survey of 508 decision makers in the manufacturing industry conducted in September 2017. The report explores manufacturers’ appetite and ability to invest in advanced technologies, the barriers faced by UK industry in being part of the next revolution – and the potential benefit to the economy if these obstacles can be overcome. 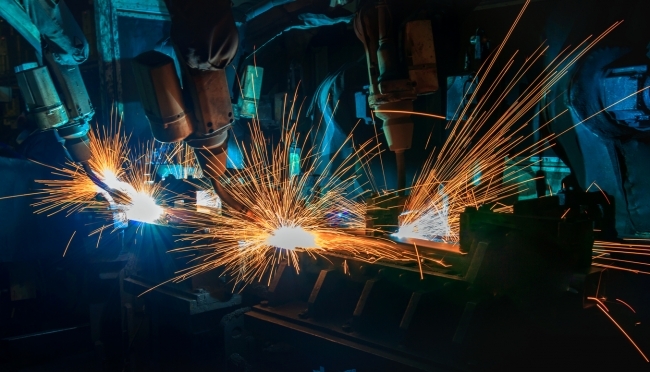 Including facts, figures and statistics, the report also looks at two UK manufacturers’ practical experiences and analyses the impact they see this revolution having on their businesses.